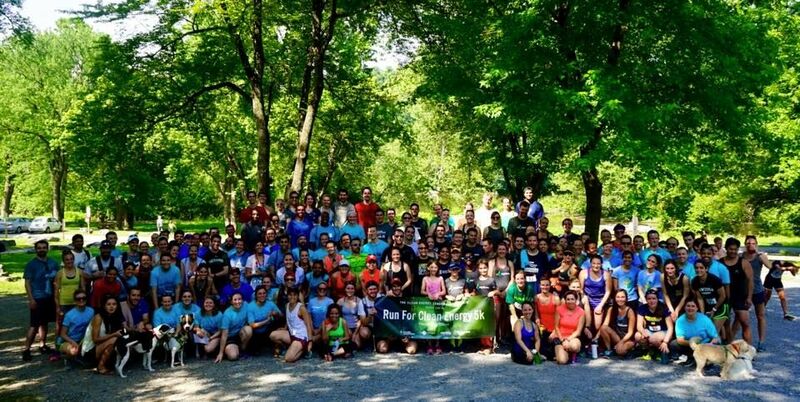 Join the GIC Team for CELI’s 3rd Annual “Run for Clean Energy” 5k! So fast and so clean (energy). Have you ever had the desire to express your interest and passion for clean energy through exercise? I know. Dumb question. Of course you have. We are SO EXCITED that Green Impact Campaign will be a partner at this year’s Run for Clean Energy 5k! Join our team as we run to support clean energy education and jobs for all. Not a runner or walker? No problem. You can still sponsor our team! The Clean Energy Leadership Institute (CELI) is 501(c)3 professional development organization dedicated to empowering the next generation of clean energy leaders. Run for Clean Energy 5k is their annual 5k to bring together people that are passionate about clean energy education and jobs. A portion of this year’s proceeds will go directly to Green Impact Campaign! Registration: Participant registration is $40 (includes event tee-shirt). Green Impact Campaign (GIC) is on a mission to reduce the environmental impact of small business while better equipping the next generation of climate leaders. We provide university students across the country with cloud-based tools and training to go out and conduct free energy assessments for local, small businesses in their community. Small businesses receive the custom, actionable information they need to make their business more energy efficiency and profitable. While student volunteers receive professional skills through hands-on experience for future impact careers. Kilowatt Smackdown is our regional competition series where we select one community, town, or city to focus on. We work closely with local universities and partner organizations in the community to host an impactful and exciting sustainability initiative.